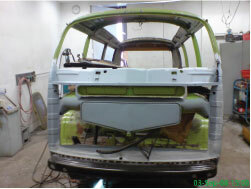 We have the experience, knowledge and facilities to produce the finest restorations. 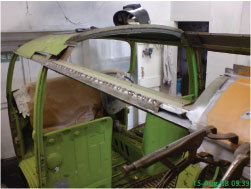 Every restoration is unique, tailored to your specification, standard and budget. Our vast experience allows us to restore vehicles to exact factory specifications in every tiny detail. 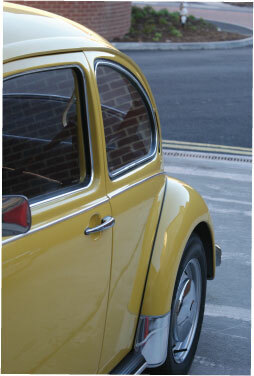 Or equally if you wish to improve or customise, we know what works, looks good, performs and most importantly lasts. We also cater for many customers that demand everyday practicality and durability from their vehicles. 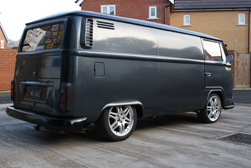 If you are thinking of embarking on a restoration first decide what you want out of your vehicle then get in contact with us. You will need to bring the vehicle to our workshops so that we are able to properly inspect it and advise the best way to proceed. Producing a no obligation estimate. 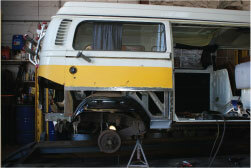 The works can either be undertaken in stages or as a finished restoration. We offer a complete welding and fabrication service. Covering all areas however extensive the corrosion, even the most complex sections . 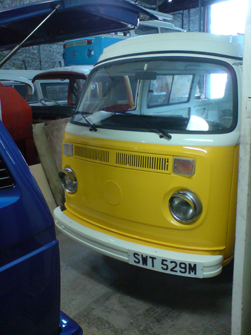 We have most panels in stock, many original or new genuine VW. We also have facilities to fabricate many of our own sections. We have MIG, Gas and Spotwelding facilities in the workshop to undertake all types of work.